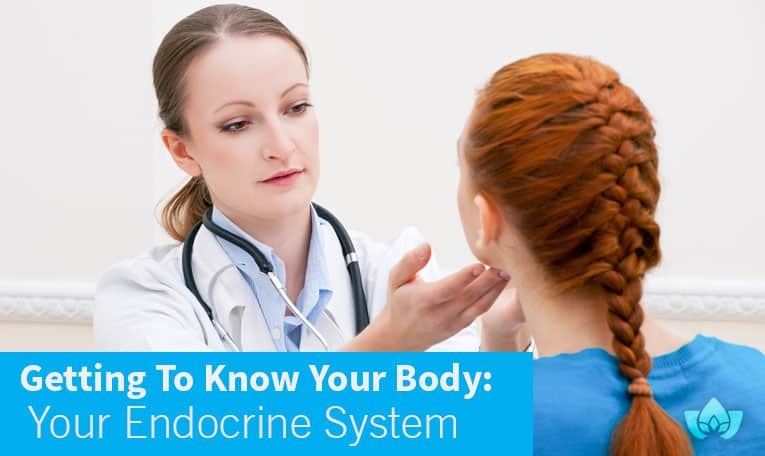 The endocrine system is a regulating force in your body, playing a key role in ensuring that your body works the way it should. It includes all of the glands in your body that make hormones. The hormones released circulate throughout your body, but each is targeted towards certain organs and tissues. The kidneys, heart, liver, and gonads assist the endocrine system because they have secondary endocrine functions. Genetics or your lifestyle affect your chances of developing an endocrine disorder. Stress, infections, and certain chemicals can also affect the function of your endocrine system. At the Mindful Healing Clinic, a naturopathic clinic in Mississauga, we find that naturopathic treatments may be effective in treating your endocrine system disorder. 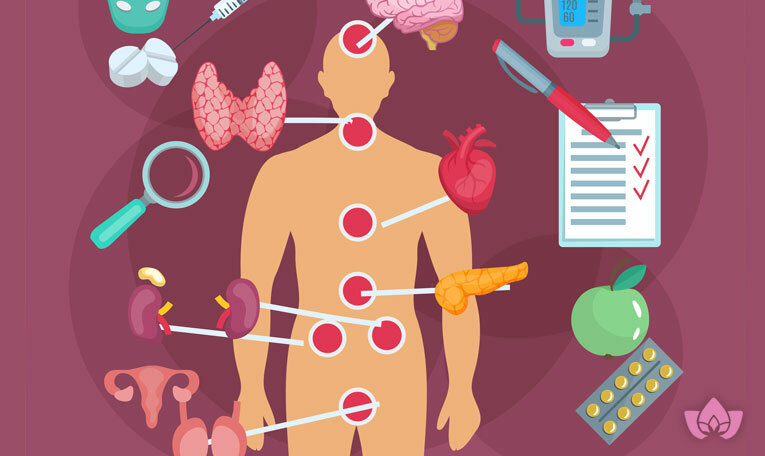 Different glands throughout your body compose the endocrine system. The pituitary gland in your brain uses information received from your brain to tell other glands what to do. It releases hormones which affect growth, lactation, and estrogen and testosterone management. Also located in the brain are the hypothalamus and the pineal gland. The hypothalamus connects your nervous system with your endocrine system. It tells the pituitary gland to start or stop production of hormones. The pineal gland produces melatonin, which tells your body when to sleep. The thyroid, located in your neck, controls your metabolism. The parathyroid controls phosphorus and calcium levels. Located between your lungs, the thymus makes white blood cells during childhood, which fight infection throughout your life. The adrenals are located on top of your kidneys and produce the “fight or flight” hormone and cortisol. The pancreas, behind your stomach, is part of both endocrine and digestive systems because it creates enzymes which break down food. In addition, it makes the hormones insulin and glucagon, which control blood sugar levels. The ovaries and testes make estrogen and progesterone, and testosterone, respectively, which affect development during puberty and are responsible for the reproductive function. The word endocrine derives from the Greek words “endo,” meaning within, and “crinis,” meaning to secrete. Conversely, “exo” means outside or external. The endocrine system produces hormones directly into the bloodstream, and the exocrine system produces and secretes substances onto an epithelial surface using ducts. Examples of exocrine glands include salivary, sweat, mammary, and mucous. Why Is Endocrine Health Important? The endocrine system assists in controlling the balance of hormones in your bloodstream. Too much or too little of a hormone in the body causes the associated gland or glands to correct the problem. Hormone imbalances can have significant effects on many of the body’s functions. For example, imbalances can affect blood sugar regulation, the reproductive system, and metabolism. Changes in electrolyte balance, stress, and infection can also cause hormone imbalances. As you age, you are at higher risk for developing diseases of the endocrine system due to hormonal shifts. Your chances of developing heart disease, osteoporosis, and type 2 diabetes increase. There are a wide variety of endocrine disorders. Endocrine disorders can cause many symptomatic reactions, including fatigue, depression, infertility, weight gain, or weight loss. Type 2 diabetes is the most common disorder of the endocrine system, but hormonal imbalances can also cause other disorders. An overactive thyroid producing too much of the thyroid hormone is known as hyperthyroidism. It accelerates your body’s metabolism, leading to weight loss and a high heart rate, as well as sweating and nervousness. It is most commonly caused by the autoimmune disorder Grave’s disease. If hyperthyroidism goes untreated, it can cause a thyroid storm. Your heart rate, blood pressure, and body temperature rise to dangerous levels. If left untreated, it can be fatal; the mortality rate of individuals with untreated thyroid storm is estimated to be at 75 percent. An underactive thyroid producing too little of the thyroid hormone is known as hypothyroidism. It slows your body’s metabolism, causing fatigue, depression, dry skin, and constipation, and can slow development in children. It is more common in women, especially those over 60. Polycystic Ovary Syndrome, also known as PCOS, is a leading cause of infertility. Affecting 1 in 10 women of reproductive age, it is caused by the overproduction of androgens. The ovaries may develop collections of fluid known as follicles, interfering with the development of eggs and their release from the ovaries. If the adrenal gland produces too little of the hormone cortisol (or in some cases the hormone aldosterone), it can lead to a deficiency. Symptoms of this deficiency include dehydration and fatigue. Addison’s Disease is a rare type of adrenal insufficiency which affects 1 in 100,000 people. In addition to helping the body respond to stress, cortisol helps maintain blood pressure, regulate the metabolism of macronutrients, slow inflammatory responses of the immune system, and balance the effects of insulin. A deficiency of cortisol affects those functions, causing chronic fatigue, loss of appetite, weight loss, and dizziness or fainting from low blood pressure. Naturopathic treatment is available for endocrine disorders, depending on the specifications of your individual disorder. If you have been diagnosed with an endocrine disorder or suspect that you have one, contact me, Dr. Maria Cavallazzi, at the Mindful Healing Clinic. During your initial appointment, you will sit down with me and we can talk about your endocrine disorder and any other health concerns you may have.